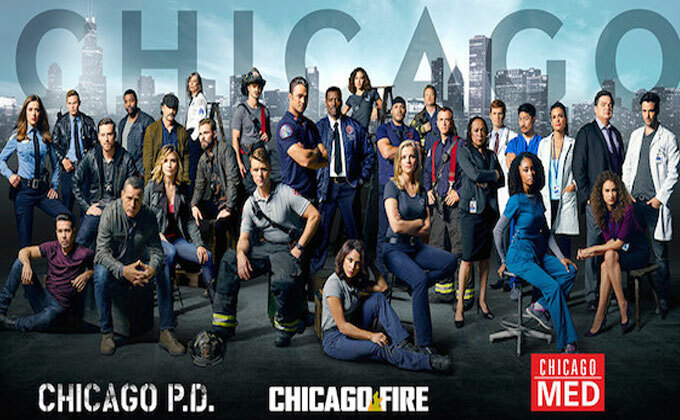 An open casting call is coming up in the Chicago area for NBC’s “Chicago” oriented shows including “Chicago Fire,” “Chicago PD,” “Chicago Med,” and the new series, “Chicago Justice.” Casting director, Joan Philo, is looking to cast paid background extras of all ages and types but are specifically interested in kids of all ages, babies, business types, model types, bad guy types, police, military, amputees, and folks with special skills such as dancers, cyclists, contortionists, etc. The casting directors are also very interested in people who are actually police, EMTs, nurses, lawyers and firefighters for upcoming scenes. 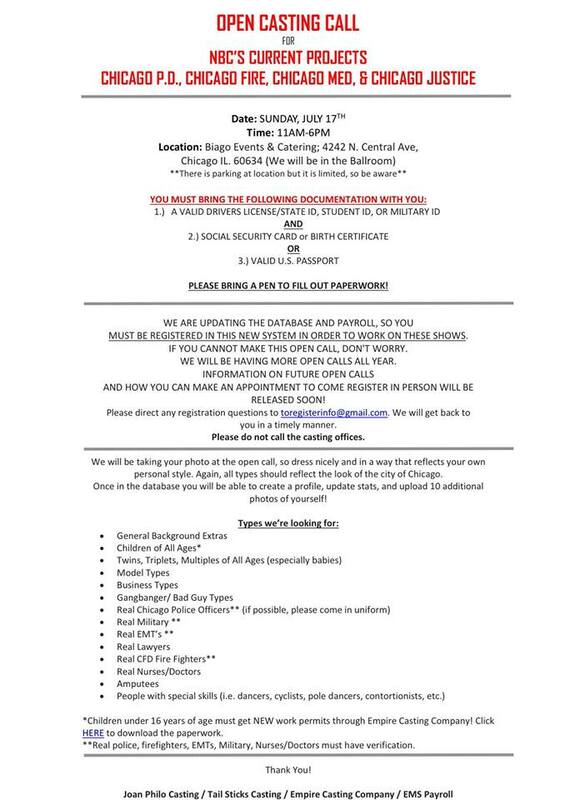 Those interested need to come to the casting call with their work documents that they would need to fill out paperwork (ID, Social Security card, etc.). People attending the open call should come ready to get their photo taken and do not need to bring photos with them as casting directors will be on hand to take their own pictures of talent in attendance. The individual shows also have specific needs and have released casting calls as well. 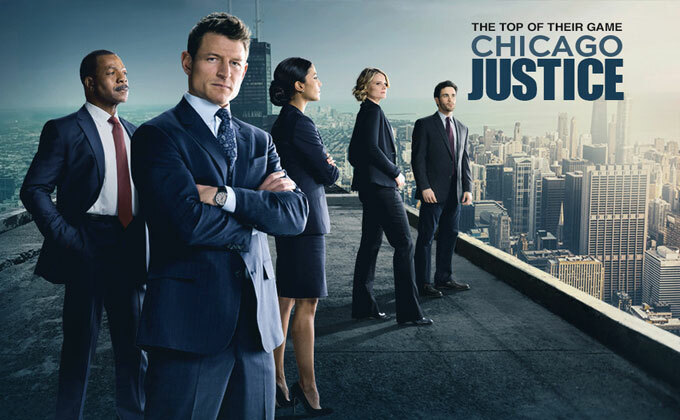 Please see the Chicago castings page for other shows filming in the area. Interested? See the casting notice below for all the details.